If you’ve enjoyed saving money with part 1 and part 2 of our savings guide, continue reading to reduce your general driving costs even further – the pco car rental business need not be so expensive! If you need to replace parts in your car but find the quotes from car dealers are expensive, you could always buy the parts online and get a local, well-respected garage to fit them instead. You could potentially save hundreds of pounds by taking this option! Whatever your PCP car finance system covers, make a note of not going over it, for doing so leads to additional mileage charges. For example, if your PCP covers you for 9,00 miles a year but you end up doing 10,000, a 0.06p per mile surcharge adds up to a £180 bill if you go 3,000 miles over. Did you know that for every 50kg of weight, fuel consumption increases by 2%? Make it a habit to empty your boot regularly. Alongside this, roof bars can increase fuel consumption by about 10%, so only attach them when necessary. Although overlooked, the option of borrowing a car rather than owning one can save considerable amounts of money, especially if you’re not planning to drive often. For starters, there are no tax and insurance fees! You also have the option of car clubs, whereby you reserve cars via an online app, determining the amount of time you need the car for. Rates will vary but are almost guaranteed to be cheaper than owning a car in the long run. 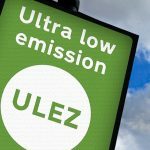 Fuel efficient driving can save you anything between hundreds or thousands of pounds a year, depending on how often you drive and how much distance you cover. Try not to rely on the trip computer as they’re not always accurate – instead, use a phone to calculate your MPG (miles per gallon). £5 for a fortnightly car wash might not seem expensive, but you could end up spending £120 a year if this becomes routine. Instead, have a go at washing the car yourself, whilst keeping an eye on its condition regularly – any oncoming damage is spotted in advance, saving you a heap of trouble. Many car companies now offer an app service on your phone which lets you pay for parking. Extending the parking time is now a button away, avoiding the bother of not reaching your car in time and earning expensive fines in the process. A black box policy has a small black box installed in your car, building an image of your driving patterns. Insurers can use this to reward safe driving with a lower premium. When picking a first car, remember that smaller engines usually bring smaller premiums. Additionally, make sure you provide the correct number of miles driven over a year; overestimating will result in higher costs. Vehicle Excise Duty (VED or Road Tax) can be paid monthly or every six months, but it’s cheaper paying it off annually. If you can’t afford the tax outright, paying it off with an interest free credit card is an option – but be sure to settle the bill before the 0% rate expires. Also consider that VED rules are changing – so be wary of increased fees on new cars. A common misconception is that third party insurance (where only the minimum legal requirement of damage to other vehicles) is cheaper than fully comprehensive cover. However, it’s worth getting quotes for both – you’ll be surprised at the offers sometimes available, as fully comprehensive cover can be cheaper than third party options if you find the right deal. Not only that, but fully comprehensive cover is always worth investing in, just in case any future accidents were under your responsibility. We hope this series has been of great help to your wallet – the pco rental life need not be an expensive one, and if you follow these tips, you’ll be surprised with how much money you can save per year.